Ndavheleseni Albert Mbada (working at the Tshwane University of Technology) is a man of persistence. He took an internet Mentor course with Felicity Keats Morrison and Dancing Pencils to become a writing mentor. This is a 12 week course has three parts of it with pre-recorded voice and music. At the end of the course, he received a Mentor Certificate and books with training exercises. 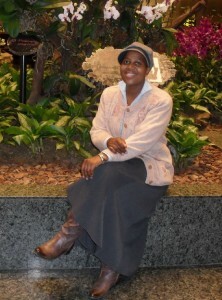 “The Plate” written by Mary Rapoo, who is also a member of the Lerato Dancing Pencils Writing Club is the second book. He has just submitted his second book for publication called “The Plate” and written by Mary Rapoo, who is also a member of the Lerato Dancing Pencils Writing Club. (photograph of cover picture). 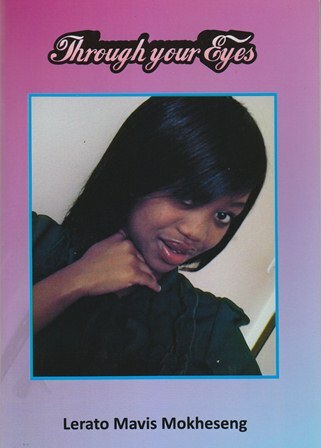 This is a book, due for publication shortly, which gives in-depth feelings of Mary Mmapela Rapoo who struggled through difficulties to become a graduate and holds the exalted position of a Senior Education Specialist at the Johannesburg East District of Gauteng Department of Education, a former teacher at Gresswold Senior School. She is a School Health Coordinator and also has worked as an Inclusion and Special Schools coordinator. She joined the Lerato Dancing Pencil Wring Club in 2012. Mary Rapoo is the mother of two girls, Mmasalang and Naledi, and she was born in a rural village, Ngobi, in Northwest formerly known as Bophuthatswana. She set out to study education at University of Witwatersrand residing at Johannesburg College of Education in the 90’s. Through years of determination and enthusiasm, she stumbled until she reached the graduation stage. This book provides the reader with harsh realities of life and some skills on how one can cope when going through the toughest times of your life. As a black woman studying in the institution dominated by whites, studying during the early era of education transformation and determined to make it against all odds, she lives in hope and looks forward to building a life, not just for herself and her daughters but also for her family. Mmapela evokes her life explorations and how her grief strengthened her in her life path.